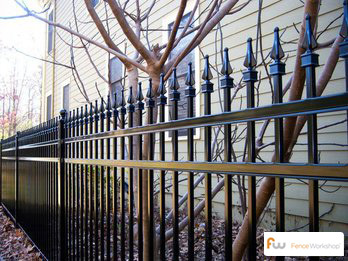 Fence Workshop™ of Jacksonville supplies beautiful steel fences throughout every part of Jacksonville, Florida. Jacksonville is known for its beautiful beaches, great shopping and quaint neighborhoods. Many of these properties could benefit from the added security of a fence, and a steel fence can blend in beautifully and naturally with these properties. 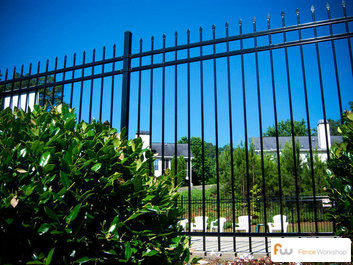 Steel fences are a great way to add security, privacy or decoration to any of these properties. They are strong, versatile and last a lifetime. No matter what area of Jacksonville you live in, we service the entire city. Why choose Fence Workshop™ for steel fencing in Jacksonville, Florida? We supply all styles of steel fence in Jacksonville. We’re a leading Jacksonville fence company that supplies steel fences in Jacksonville, FL and surrounding areas like Tampa, Orlando, Destin, Daytona Beach and more. Farm Fences Jacksonville, FL. Aluminum Fences Jacksonville, FL.